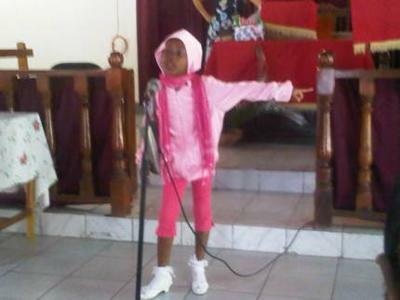 ...as recited by Karena Gayle (My Daughter) today December 18, 2011, her birthday, at church. We hope you like it. Hoo-much a oonu miss Crismus dung a Yaad? An yuh out deh a jam, even if yuh cyaan dawnce to fawt! Mek yuh lick yuh lip an do de "wata pumpin"
Weh him raise fi two year, bway de fowl ole! Nex ere mi a goh home no cya how time hawd! Love it! I wasn't fortunate to remember what Christmas was like in Jamaican because i left pretty young and never went back during Christmas time. So this poem just highlight what it really means to celebrate Christmas in Jamaica. I love it. Thank God for such a beautiful Island and people. Merry Christmas to you and your family! you do such a great job with this magazine and I really like the poem. You're right, Christmas outside of Ja is not as sweet. Missing yard especially around this time of year. God bless us all to enjoy another sweet yard-Christmas sometime. What a beautiful little Princess! And she looks so confident! You have a star in the making my friend! 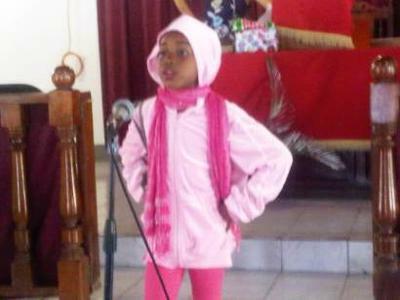 Now we will all be able to say, "we knew her when..."
Keep singing little Star! It makes everyone smile! Thank you for sharing the poem! It was lovely! Someday I pray to spend a christmas in Jamaica! My family and friends told me how beautiful it is at Christmas in Jamaica! I wish everyone the best Christmas ever! May the Lord bless and keep everyone safe! I wish you all a Happy,Safe,Healthy and Properous New Year also! Be Blessed one and all! Wonderful poem....and it helps me with my patois!!! Thank you for sharing this and Ive posted it on my FB page I love it so much. I wish you and your family a very happy Christmas and successful New Year. Beautiful poem,that is what i remember as a child growing up in jamaica.Cannot wait to relive some of that jamaica christmas dung a yard. 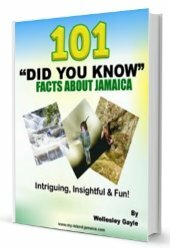 I agree christmas in jamaica is the best time I ever had, I remember when all my children from America, and England came and stayed with me, I would love to repeat this again. TRUST mi! !this brings back so much memories,next year 'naw miss mi' well done .. my island Jamaica. Da Poem bad fi true. A same so it go. She is my pud....the say the sumthing fi real. This poem captures what Christmas is all about....I love it!!! Me seh wata come a yeye as me reading it. Miss the good ole time Christmas of my childhood back a yaad. I am sure your daughter brought the "house down.."....Miss Lou in the making..Continue to encourage her to embrace her culture. Thanks for sharing this. P.S. You know well about sitting down in de house a farin cause it "cowl" to rahtid. One Love. I love the way the poem captures many of our cultural practices "fi di Chrismus'! It's a wonderful poem. Would love the permission to recite it for an audience. Thanks and a " Boonoonoonus" Christmas to you all at My Island Jamaica.com (as Ms Lou would say). Sure Jaynia, please go ahead, we'd appreciate if you cite the site though, just let them know you got it here :-) Merry Christmas to you too my friend. I can just imagine how her audience got excited as she performed this poem. In real yard style, these verses capture and reflect the cultural excitement in celebrating Christmas in Jamaica, especially in the rural areas. Many people in the diaspora, I believe, are touched by story portrayed by these humorous verses and are, perhaps, planning to catch the vibe next year Christmas and thereafter. Truly, this poem reflects the beauty of culture. Beautiful poem. And her outfit was really cute. 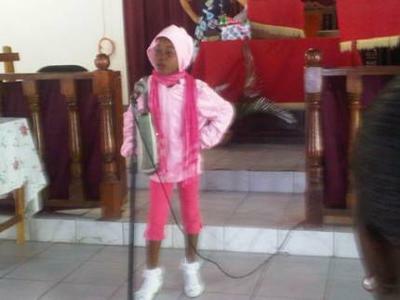 Mi miss chrimus a yard real bad..love di poem!! All the little things that capture Christmas in Jamaica are in this poem. Very cute!